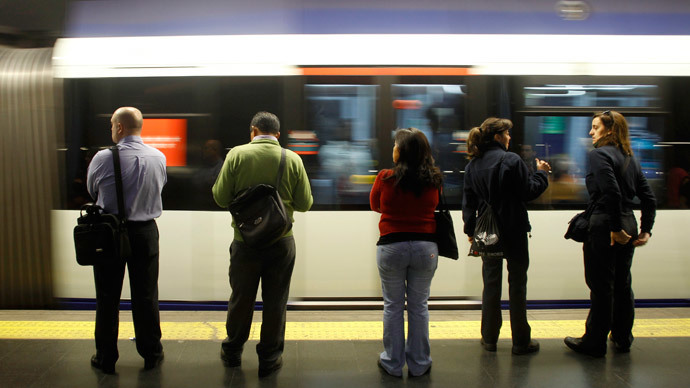 Madrid’s metro has shocked staff with a new memo requiring “gays, musicians and beggars” to be checked more often than others by security. An investigation has been opened into the identity of the author. Transport authorities learned of the memo from staff. The metro company has since apologized to everyone for the “unfortunate” words. They will decide later what action to take against the guilty party. Spanish media has published an image of the memo. “Our board of directors were immediately informed and have opened an investigation to determine who printed and handed out these deplorable leaflets so that they can be brought to justice,” director of Madrid Metro Ignacio Gonzales Velayos told Cadena SER radio station. “I don’t understand why it would assume that homosexuals wouldn’t pay for their tickets and that they need to be monitored. Why not tall people, or blondes or those who wear glasses,” he told El Pais. The LGBT community has issued strong condemnation as well. The organization Madrid COLEGA expressed its “rejection and revulsion” at the news in a statement. The group took the case to the Special Prosecutor for Hate Crimes. A meeting will be held next Monday to discuss the introduction of a joint campaign against all forms of gender discrimination or gender-identity-based aggression.